Amidst the innovation boom in China, high-technology such as AI, VR/AR, and 3D printing may sound far fetched. However, when we twist the angle a little bit—i.e. let’s talk about food instead of technology—all the high-tech stuff may sound a wee less intimidating. And yes, creativity often comes from combining random items that you’d never think to go together. A company like DeFacto, however, is preparing for a looming revolution in the food industry through their 3D printing technology in China. Surely, everyone agrees we must eat. But what if food is printed from a 3D printing machine for you on a busy Monday morning before you head off to work? Imagine a refrigerator with an embedded 3D printer that “prints out” the food after a consider calculation of your nutrition and health condition. The 3D printer easily mixes whatever ingredients you provide to produce not only nutritious but also aesthetic food on your plate. Based on your diet, the “smart 3D embedded printer” carefully designs your meal for you within a few minutes saving your morning routine. It’s hard to picture how this 3D printing actually produces food without seeing it yourself. However, once you witness how these 3D printed chocolates are made, you become an avid believer in the future of 3D food printing industry. “There are so many possibilities we can do with this technology. The 3D printing technology itself, in fact, is very simple. If we want to build the machine, it’s not too hard to put the pieces and coding together. However, as it seems to be the reoccurring theme with technology, application of this technology is the limitation of our imagination,” Leandro Rolon, the architect-trained CEO of DeFacto, says. As a self-claimed “design entrepreneur”—one who possess both design thinking skills and entrepreneur mindset in order to, well, keep the company rolling—he shares his experience of venturing into fashion, architecture, and food experimenting with 3D printing. He has also been producing 3D synthesized dresses, molds, and stencils pushing the boundaries of 3D printing. 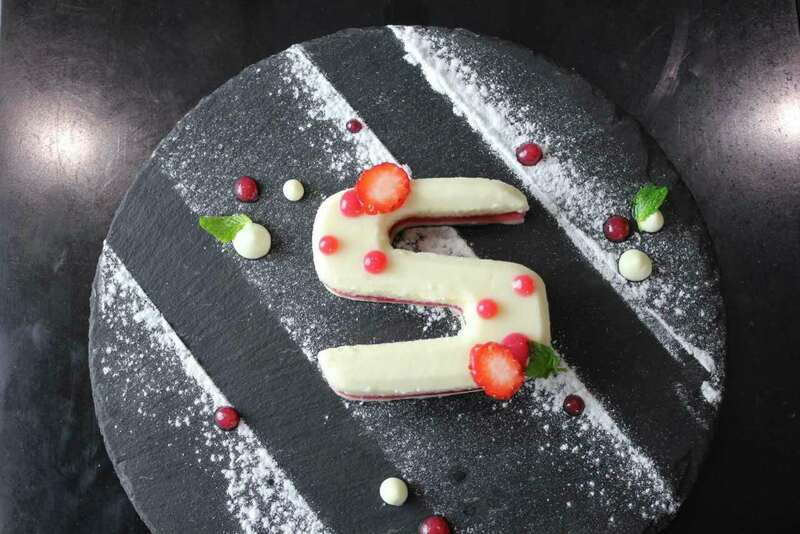 After so many trials and errors, he decided to focus on food 3D printing after working with top chefs and local five-star hotel dining over the past couple of years. “Once we jumped into 3D food printing industry, we quickly found out we need to conduct massive research with the help of other expertise. We knew exactly what we wanted and started collaborating with some big brands and restaurants in town. There, we picked up on food branding using our 3D printing model. We quickly learned this was our entry point to the ‘entrepreneur’ aspect of passion for design,” says Leandro. But his vision goes way beyond commercial values. Leandro’s vision for the future of food is ambitious. 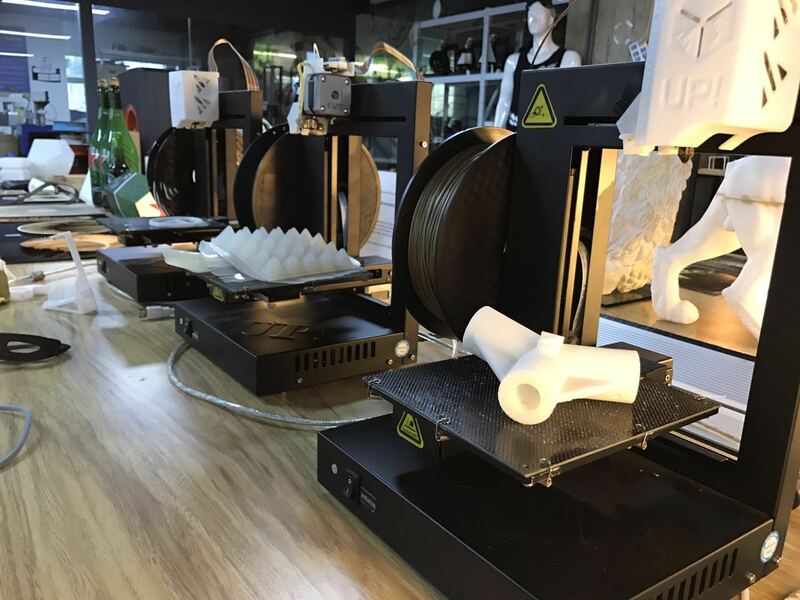 He believes 3D printing machines may not necessarily be equipped in individuals’ places like a coffee machine but lurk into people’s daily lives such as in the form of 3D printer embedded refrigerator. A refrigerator that calculates your daily diet linked to your app and 3D prints out your meal accordingly isn’t a story of far away future. “The future is already there. It’s the only matter of, are we ready to not be weirded out by new technology like 3D printed food,” Leo concludes.